Vampires in Rhode Island? It sounds crazy these days, but before the advent of modern medicine consumption, which we now know as tuberculosis, might cause your family to suspect that you were a member of the race of the un-dead. 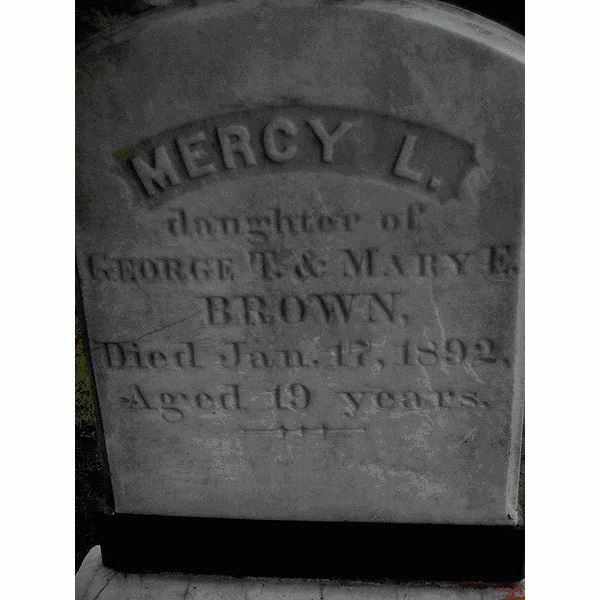 Such was the case for Mercy Brown, the now famous vampire from the state of Rhode Island. Brown came from a large family with many brothers and sisters. Unfortunately, several members of the family, one at a time, began to develop symptoms of what was then known as consumption; such termed because it seemed to consume the person inside out until death. Mercy’s older brother Edwin was diagnosed and sent West, where it was hoped the dry air would cure him. He returned home months later, and soon after, Mercy herself died of consumption. During the next few weeks Edwin’s heath declined, and his distraught father began to develop what was then a normal suspicion. One of his dead family members was a vampire, feeding on the live members. He and his neighbors planned to dig up the corpses of the dead Browns to check for ‘evidence’. When Mercy was dug up, her hair and nails had grown and there was blood in her heart, so she was considered the vampire. Her heart was burned and its ashes fed to her brother. This cure was unsuccessful and Edwin died shortly after. What makes this legend so interesting, especially in a science class is that the symptoms of what they called consumption and we call Tuberculosis are really very similar to the descriptions of vampires in fiction. Have your students research the disease’s history and symptoms and allow them to see for themselves why belief in vampires was so prominent for so long. Download the Power Point here and begin the discussion with your class.